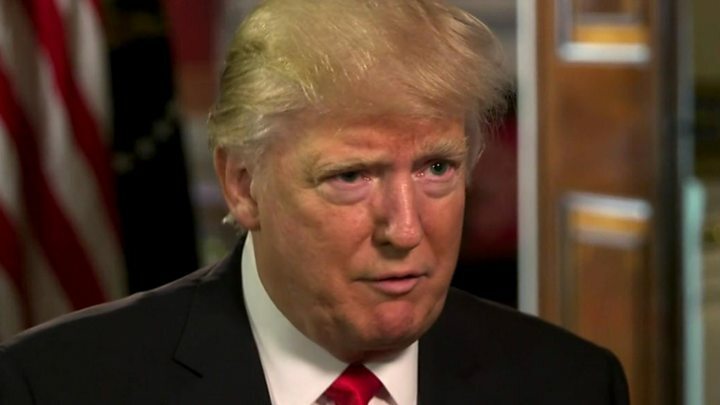 US President Donald Trump's choice for national security adviser has turned down the job offer. 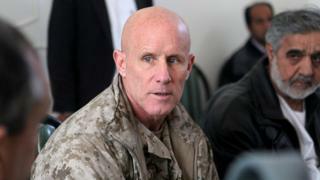 Retired Vice-Admiral Robert Harward was widely tipped for the post after Mr Trump fired Michael Flynn on Monday. A White House official said Mr Harward cited family and financial commitments, but US media said the sticking point was he wanted to bring in his own team. Mr Flynn had misled US Vice-President Mike Pence over his conversations with Russia's ambassador to the US. There are four people being considered as his replacement including the new acting national security adviser, General Keith Kellogg, the president said on Friday. The latest setback concerning Mr Harward emerged hours after Mr Trump robustly denied media reports of White House disarray, insisting in a news conference that his administration was running like a "fine-tuned machine". The White House is expected to name its new communications director on Friday, and US media say the job will go to Mike Dubke, the founder of Republican media group Crossroads Media. Mr Harward told the Associated Press the Trump administration was "very accommodating to my needs, both professionally and personally". "It's purely a personal issue," added the 60-year-old former Navy Seal who is currently based in Abu Dhabi as an executive for US defence contractor Lockheed Martin. Asked about reports that he had asked to bring in his own staff at the National Security Council, Mr Harward said: "I think that's for the president to address." Mr Flynn, a retired army lieutenant-general, was ousted amid claims that before he was even appointed as national security adviser he had discussed sanctions with a Russian envoy. Mr Flynn initially denied having discussed sanctions with Sergei Kislyak, Moscow's ambassador to Washington. But on Monday, Mr Trump asked for his resignation following revelations that Mr Flynn had misled the vice-president about his conversations with the diplomat. Leading Republicans have called for an investigation into intelligence leaks that led to Mr Flynn's resignation. General David Petraeus and acting national security adviser Keith Kellogg are among those who have been tipped for the job. Mr Kellogg, a retired three-star general, was named acting national security adviser after Mr Flynn stepped down. The 72-year-old had a long career in the US Army, serving in Vietnam and Iraq, before retiring in 2003 and becoming a security consultant for software giant Oracle Corp.
Mr Petraeus, a celebrated former four-star general, retired as CIA director in 2012 after it emerged he had given top-secret material to his biographer, with whom he was also having an extramarital affair. He is still serving two years' probation after his conviction for mishandling classified information, and would need to notify his parole officer if he wished to move to Washington DC.